In the two centuries following Luther's passing, however, a number of pioneering astronomers demonstrated that comets are indeed natural, rather than supernatural, bodies. Moreover, these scientists showed, comets orbit the sun. And following their measurable, predictable orbits, some comets return to Earth's neighborhood on a regular basis. In this way, even though astronomers were still unsure of the exact origins, size, and composition of comets, they managed to demystify largely these traditional harbingers of doom. 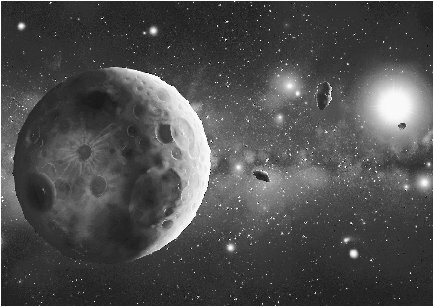 The discovery of asteroids, celestial bodies that are closely related to comets, soon followed. Only forty-three years after the first confirmed return of a periodic comet in 1758, an astronomer sighted the largest asteroid in the solar system. At the time, scientists thought this object was a small planet. And for a while, as other large asteroids were discovered, these bodies were routinely called "minor planets." Eventually, though, it became clear that they represented an entirely new class of celestial bodies—hunks of rock and metal wandering through the dark gulfs of the solar system along with the comets. One major difference in early views of these objects was that astronomers recognized from the beginning that asteroids lie well beyond Earth in outer space; by contrast, even as late as Martin Luther's time, most people still assumed that comets moved within Earth's atmosphere, where they believed God had placed them. This antiquated view of comets was about to change, however. In 1546, the year Luther died, a boy named Tycho Brahe was born in Denmark. 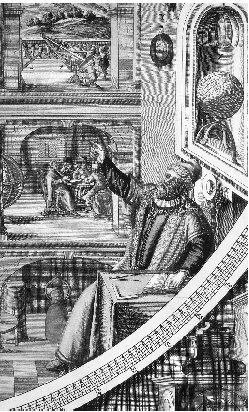 A brilliant individual, Tycho, as everyone called him, grew up to be an astronomer with his own observatory. He had already made a name for himself in scientific circles when a bright comet appeared in 1577. Tycho suspected that comets were physical objects existing millions of miles from Earth. And because the new comet was slow moving and stayed in the sky for months, he had an opportunity to study it carefully and test this theory. Tycho correctly reasoned that if the comet was in Earth's atmosphere, it would be close enough to observers to cause a large parallax. Yet he could detect almost no parallax at all. Thus, he concluded, the comet must be located well beyond the Moon. Furthermore, Tycho said, if comets move among the distant planets, they must be natural celestial bodies, and thus there is little to fear from them. Tycho had taken an important step toward eliminating the mystery surrounding comets. But he was not fated to be the man whom Seneca had fifteen centuries earlier predicted would one day explain how comets move. 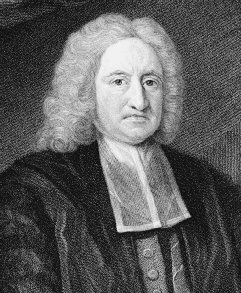 That major comet pioneer turned out to be English astronomer Edmond Halley, who was born near London in 1656. In 1680, after establishing himself as a brainy, eager researcher, Halley began to acquire an intense interest in comets. That was the year that a particularly bright comet was seen in European skies. Halley was aboard a ferry on his way to France when he first saw the object, and after landing he went directly to the Paris Observatory to discuss the apparition with the facility's director, Jean-Dominique Cassini. The meeting proved important because Cassini revealed to Halley an unprecedented theory about the new comet. Cassini suspected that this object was the very same comet that Tycho had measured in 1577. This suggested that, like a planet, the comet was moving in a regular orbit around the sun and making repeated visits to Earth's vicinity. In 1695 Halley announced that he had determined the orbit of the comet of 1682. Moreover, he said, this comet seemed to follow the very same path that the bright comets of 1531 and 1607 had, which had convinced him that all the objects were one and the same. The comet must have an orbital period of approximately seventy-six years, Halley said, and would surely return again. "If according to what we have already said, it should return again about the year 1758," 11 he stated. Edmond Halley determined that the orbit of the comet of 1682 matched those of two previous comets. He suggested all three were the same object. Sadly, Halley died in 1742, just a few years before the highly anticipated return of his comet. Some scientists doubted that he had been right. But sure enough, the object appeared at the precise time and in the same area of the sky that Halley had predicted. On Christmas night in 1758, a German amateur astronomer named Johann Palitzsch was the first person to catch sight of the comet. (Subsequent studies indicated that the Chinese had observed it in 240 B . C . and various Europeans in A . D . 684, 1066, and 1301.) Halley's scientific triumph had shown conclusively that comets and other heavenly bodies are not divine signs and portents but physical, measurable objects following natural laws. Though finding Uranus, which orbits far beyond Saturn, greatly increased the apparent size of the solar system, most astronomers felt that the Sun's family was still incomplete. This view derived from the manner in which the orbits of the known planets were spaced in relation to the Sun. Each successive planet was situated about one-and-a-half to two times as far from the sun as the one before it. The same year that Titius called attention to this mathematical planetary pattern and its strange omission, another German astronomer, Johann Bode, mentioned it in a new book. For reasons unknown, Bode did not credit Titius as the discoverer of the planetary pattern. So Titius's contribution was temporarily overlooked, and astronomers began referring to the pattern as Bode's Law. Fortunately for Titius, Bode later admitted his error and the pattern came to be called the Titius-Bode Law. Herschel's discovery of Uranus seemed to confirm the Titius-Bode pattern. Titius's mathematical scheme predicted a trans-Saturnian planet at a distance of 4 + 192 = 196 parts. And actual measurements gave Uranus's distance a value of 192 parts, close enough to prove that a real planetary pattern did exist. Why, then, had no new planet been discovered between Mars and Jupiter, where the Titius-Bode Law indicated there should be one? Most astronomers came to believe that such a planet must exist. Somehow, they assumed, it had thus far escaped detection, but they were sure the situation could be remedied by a large-scale systematic search. Accordingly, in 1800 a group of German astronomers organized by Franz Xaver von Zach met and mapped out such a search. Calling themselves the "Celestial Police," they sent invitations to join in the search to scientists across Europe. Professional astronomers are not the only ones who discover comets. In fact, many of these celestial bodies are found each year by dedicated amateurs using small telescopes. In this excerpt from an article in the January 2003 issue of Astronomy, aerospace engineer Tom Polakis recalls a moment of success for one persistent amateur astronomer. Some comet hunters find success only after a lifetime of effort. Patrick Stonehouse had searched in vain for comets for several hundred hours over 30 years. Then, on April 22, 1998, he struck ice. Beginning his first comet sweep of the night with his 17.5-inch scope, Stonehouse immediately noticed a suspicious object. Over 20 minutes, the object moved northwest. The next two nights were clear; the comet was confirmed on April 25, and named C/1998 H1. . . . Stonehouse fondly recalls those intervening days as filled with both sleep deprivation and excitement. Today, Stonehouse sweeps for comets with a 25-inch telescope. He hopes to find another comet or asteroid, but if not, he says, "I see a multitude of diverse and magnificent heavenly objects during every search, so I am always happy in the searching and never feel disappointed for not having found anything new." One of the men Zach recruited for this concerted effort to find the missing planet was an Italian monk and astronomer named Giuseppe Piazzi, director of the Palermo Observatory. On January 1, 1801, Piazzi concentrated his attention on part of the constellation Taurus, the bull. It was not long before he noticed a dim star that did not appear on the standard sky chart he was using. Piazzi realized that the object could be a previously uncharted comet. Yet he also suspected, and sincerely hoped, that the intruder in Taurus might be the missing planet needed to fill the gap in the Titius-Bode Law. Eventually, Piazzi did tell other astronomers about the object he had seen. But after disappearing into the Sun's glare, it was temporarily lost and could not be confirmed. Fortunately, a German mathematician, Carl F. Gauss, calculated its orbit based on Piazzi's measurements. And using Gauss's data, on January 1, 1802, a year to the day after Piazzi had first seen the object, both Zach and another German astronomer, Wilhelm Olbers, found it again. The object, which everyone assumed was the missing planet, received the name Ceres, after an ancient Roman agricultural goddess. An artist's rendering of Ceres, the solar system's largest asteroid. Early nineteenth-century astronomers discovered Ceres by accident as they searched for an eighth planet. because more and more of these asteroids came to light. In 1845 Karl Hencke discovered Astraea. And two years later he found Hebe. Also in 1847, J.R. Hind found Iris and Flora, and other searchers discovered Metis in 1848, Hygiea in 1849, Parthenope, Victoria, and Egeria in 1850. By 1852 the asteroid family had grown to twenty-three, and by 1868 astronomers had confirmed the existence of a hundred of these objects, all of them orbiting between Mars and Jupiter. Appropriately, the region lying between the two planets became known as the "asteroid belt." Indeed, many astronomers became bored with finding asteroids and began to view them as useless cosmic garbage littering the heavens. In the 1930s, therefore, asteroid research came almost to a halt. It was not until about 1970, when the U.S. space program opened up fresh avenues for such research, that a new generation of astronomers showed renewed interest in asteroids. Among other things, the realization that both asteroids and comets might be remnants of the solar system's birth spasms spurred an avid effort to understand how these objects formed and what they are made of, an endeavor that is still ongoing.